Perhaps in response to American brewers’ never-ending quest to produce the hoppiest beers possible, a handful of daring brewers in the mid-1990s turned to a beer style that dates back for centuries, yet was rarely explored in the States: sours. The range of beers, which stretch from Flanders Brown and Red and Oud Bruin to Gouze, Lambic, Kriek, and Berliner Weisse, echo back to the days before stainless steel brewing equipment, back when beer was aged and shipped in wooden barrels, which were typically contaminated by live bacteria that imparted a distinct puckering flavor. The more modern twist on that ancient style embraces much of that same approach. Brewers use wild yeasts like Brettanomyces to add a bit of barnyard funk and live bacteria with strong sour notes like Lactobacillus to create the beers’ distinct character, and then barrel-age them for years before bottle-conditioning the results to let the flavors continue to develop. It’s an expensive gamble; brewers can spend years creating their sours, only to find it unpalatable when they finally crack the barrel. The presence of these living ingredients can also contaminate an entire brewing operation, which is why most sour beer producers either isolate their fermenting and aging sours from the rest of their operation (which requires extra warehouse space) or devote themselves wholly to this process (which requires a costly leap of faith into an unpredictable science). As such, sours are expensive; the cost of a 12-ounce bottle can run $12, and you can easily drop $25 on a 750ml bottle. And of course, they’re also exceedingly rare. But sours are worth all the effort and cost. Unlike the hop-centric world that defines much of the U.S. craft beer scene, sour beers tone down the bitterness and impart a remarkable level of complex, layered flavor more akin to wine than a standard can of beer. As such, the style has attracted a loyal, discerning following, and has served to turn non-beer-drinkers into budding cicerones. The 10 on this list are some of the better American sours on the market. Some are easier to find thanks to the willingness of larger breweries with wider distribution to start playing with the style, while others are strictly seasonal and depressingly hard to locate. But that shouldn’t stop you from trying—or from sampling other beers that ascribe themselves to this distinctive arena. One caveat: unpredictability is the very nature of this style of beer. One year could yield an award-winning brew, while the next run could be just as complex in an entirely different way. To complicate matters, these beers also develop different flavors with age. The beers on this list are based on several tastings, but we can’t promise every bottle will be all things to all people. But then, that’s also why we love ‘em. 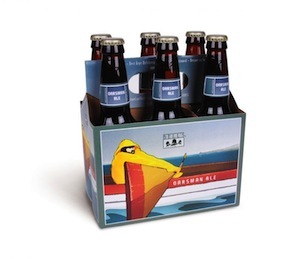 The Oarsman Ale breaks the mold of all the other beers on this list: it’s more widely distributed, available year-round, comes in six packs that retail for about $10, and boasts a modest 4% ABV, making it a perfect sessionable sour beer. Brewed in the German Berliner Weisse style, it boasts a healthy dose of wheat with a modest use of hops in the brewing process to create a bright, brisk, and tart beer that’s highly carbonated—a total palate cleanser. Even with the absence of Brett, bacteria, or extensive aging, it still packs a one-note sour punch—lemon, citrus, and orange peel, tempered by the wheat and malt. 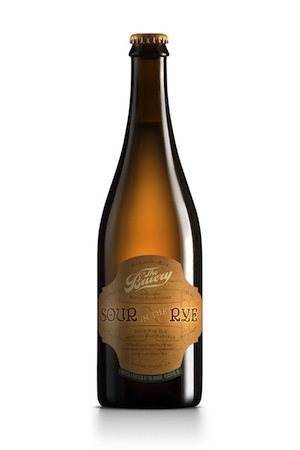 Likely the newest beer on the list—an odd distinction considering the aging process involved in sours—the Serenity recently brought home the gold medal from the Great American Beer Festival for the best American-Style Brett Beer, beating out heavy hitters like Russian River. 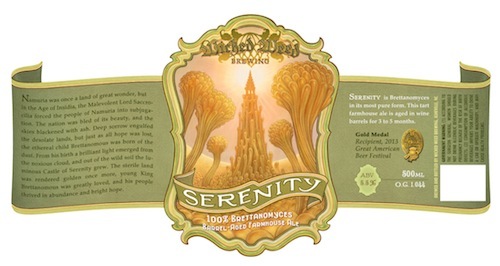 Founded in 2012, the Asheville, North Carolina-based brewery developed the Serenity with 100 percent Brett fermentation. It pours a hazy golden, and echoes the complex flavors of New Zealand Sauvignon Blancs—sweetness reinforced by the earthy, sour notes from the wild yeast. Tastes of pineapple and mango dominate without becoming cloying, and pair with old leather and a steady carbonation to make it dangerously drinkable. 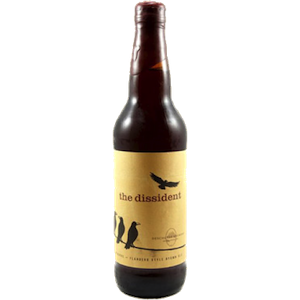 Rumor has it that former Deschutes brew master Larry Sidor made the first batch of the Dissident in secret, lest the big wigs at the brewery get wind that he was playing with all those contaminating ingredients. Sidor has since moved on to found his own brewery, Crux Fermentation Project, but thankfully his experimental legacy lives on as the Deschutes’ only wild yeast product. The Oud Bruin-style beer boasts ample use of wild Brett yeast, and is fermented for 18 months in a mixture of pinot and cab barrels, sporadically released whenever it’s deemed ready. At 11.4% ABV (on average), it’s a boozy beer, pouring a rusty brown with a punch of sour cherries, tart green apples and vinegar, partnered with funky notes of horse blanket and hay. The oak comes through as well, and serves to nicely disguise the beer’s high-octane alcohol level. 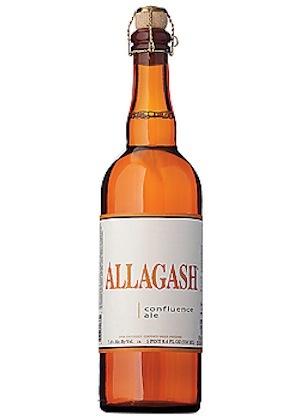 The aptly named Confluence is the natural evolution of Allagash Brewing’s interest in introducing American palates to the best Belgian beer styles. The brewery uses a Belgian-style yeast in combination with their own wild Brett yeast strain, brewed with a mix of pilsner and domestic pale malts that creates a complex malty character. Yet unlike most bottles on this list, it’s aged in stainless steel tanks before getting dry hopped prior to bottling. The resulting beer pours a golden straw color with a pronounced fruity, bready aroma. On the tongue, the mixture of hops are present, but complimented by the barnyard funkiness of the Brett and the level presence of hoppy bitterness, with a dry, clean finish. It’s easily the most approachable sour on this list. Like Cascade Barrel House, Jolly Pumpkin has drank the sour Kool-Aid. They employ solely open fermentation techniques in their Dexter, Michigan-based brewery, a traditional technique that imparts more complex ester profiles and also exposes the beer to the live bacteria in the air. Then they age all their beers in oak casks that have been fully taken over by microbes and wild yeast sediments so that every beer they produce carries a welcome funkiness. Of the robust line, the La Roja may be the sourest. Made in the standard Flanders tradition, it pours a deep amber, with flavors of earthy caramel, raspberry, and other sour fruits with a layer of horse blanket that’s developed during the aging process. But unlike others on this list, the sour elements are nicely tempered by malt and a slight smokiness with an amber-style base. If you’re looking to dip your big toe into the sour game, pretty much any beer in their line will offer a window into this tart world. Upland started their barrel-aging program back in 2006 with only four red wine oak barrels, and has since expanded to offer nine sour beers. 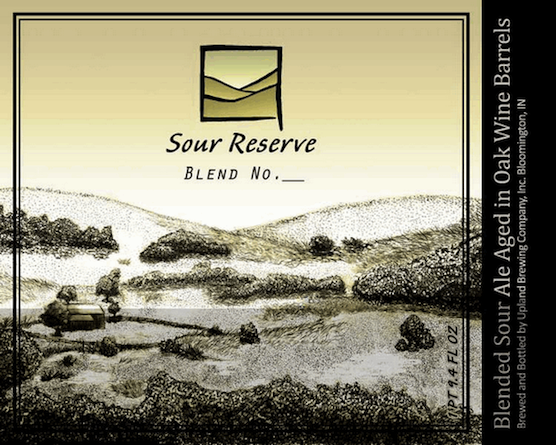 But their Sour Reserve may be the boldest of the bunch. The unabashed sourness of this beer—which is a blend of a variety of different brews rested in barrels of various age—may be the boldest on this list. The bottle we sampled poured with almost no head and nominal carbonation, evoking a sourness that screams out from the first smell to the last sip. It packs a serious lactic, acidic punch that is both bracing and bright, with less-defined layers of tart stone fruit and oak underneath. 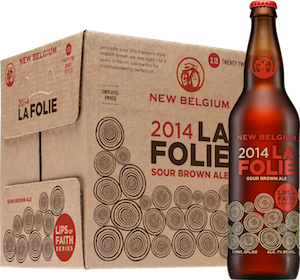 Fort Collins, Colorado-based New Belgium Brewing was one of the first large U.S. brewers to start playing with sours, introducing the first La Folie back in 1997. Since that first experiment, the later iterations have only improved. This may be thanks to brewer Peter Bouckaart, who once worked at Rodenbach, the Belgium-based home of some of the most prized sour beers available. 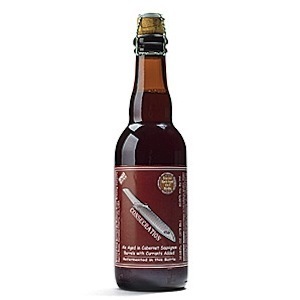 This Flemish sour brown ale rests in French Oak barrels for one to three years and pours a deep, dark red that seems to glow from within, with a handful of bitter fruit on the nose tempered by a hit of pepper and caramel. The flavor is sharp and clean, deep and complex, begging to be sipped and savored, with a touch of malt within the sour elements. New Belgium started releasing new editions annually (the 2014 edition was introduced this past February). And if you’re a hop head yearning for a bit of bitterness, you should also try their La Terroir, a dry-hopped sour. This Portland, Oregon-based brewery dedicates itself solely to barrel-aged beers, with more than 750 French oak, Kentucky Bourbon, and Northwest wine barrels housing beers in various stages of completion. But the Apricot Sour Ale is one of their best. 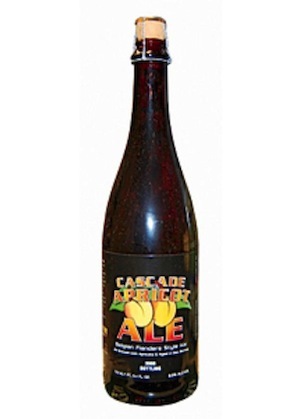 Rather than employ wild yeast strains commonly used in sours, Cascade instead relies on an eight-month lactic fermentation and oak barrel-aging process before adding ripe, regional apricots and letting the flavors develop for another three months. Fruitiness dominates the aroma, but the level of apricot and citrus become surprisingly tempered as the sour notes bracingly announce themselves on the first sip. At the end, the slightest hint of oak and funkiness from the barrel make this a bold introduction to the sour style. Unlike other beers on this list, Sour in the Rye is brewed with 40% rye as the base malt, which erodes any hint of sweetness typical in most fruit-based styles like Lambics. The beer pours a hazy copper with tart lemon and stone fruit on the nose, and big, bold burst of sour on the first sip, which is the result of aging the beer for more than a year in bacteria-infused barrels. Funkiness swims on the edges, along with spice, blood orange, and straw. It’s an eye-opening experience for the uninitiated. Famed brewer Vinne Cilurzo worked at a vineyard before he opened his Santa Rosa, California-based brewery, so it only seems natural that he’d get into barrel-aging. Of the handful of sours on offer, the award-winning Consecration reigns supreme. The name, which literally means “to associate with the sacred,” speaks to the beer’s ambitions. The dark ale is aged in Cab Sav barrels from local wineries for four to eight months with black currants, Brett, lacto, and pediococcus to deliver a full-bodied, dense flavor dominated by sour notes, but with hints of chocolate, spice, tobacco, and red wine.